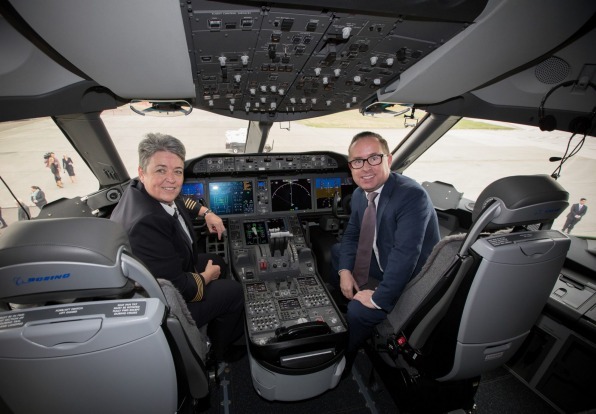 The first ever non-stop commercial flight from Australia to Britain took off on Saturday, with the inaugural flight for QF9 between Perth and London. For passengers flying business class on the world's third-longest route, here's what to look forward to. 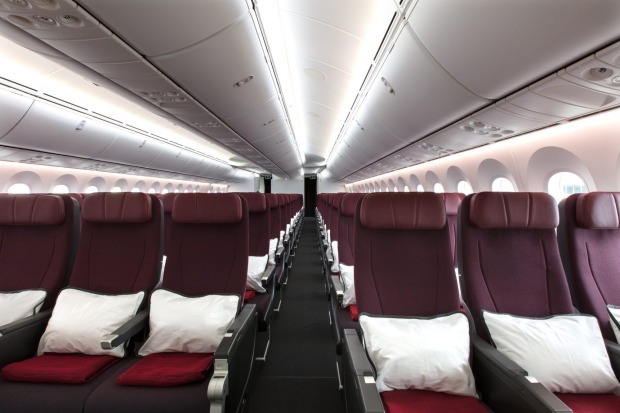 QF9, Perth to London, non-stop. 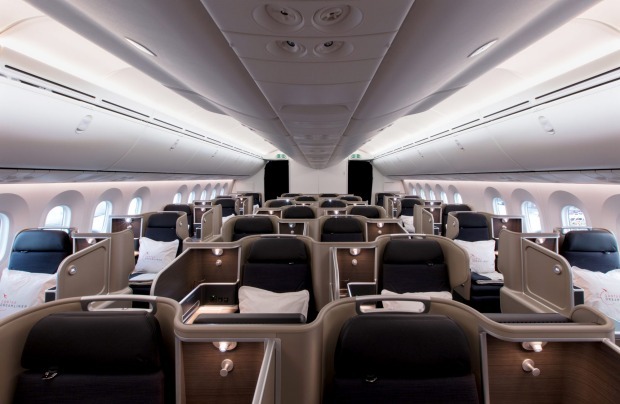 For business class passengers, up to 40kg of checked luggage and two carry on bags of up to seven kilograms each. 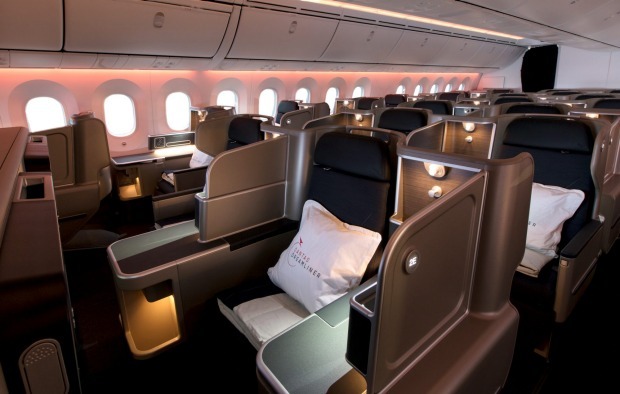 The business class seat offers 46-inch (117 cm) pitch, with an 80-inch (203 cm) bed when put into lie flat mode. 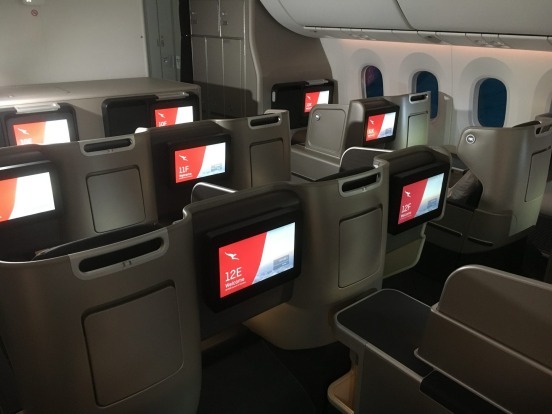 Seats are in a 1-2-1 layout meaning all business class passengers have direct aisle access, something that's not available on the airline's Airbus A380s yet, or the older Boeing 747 jumbos. 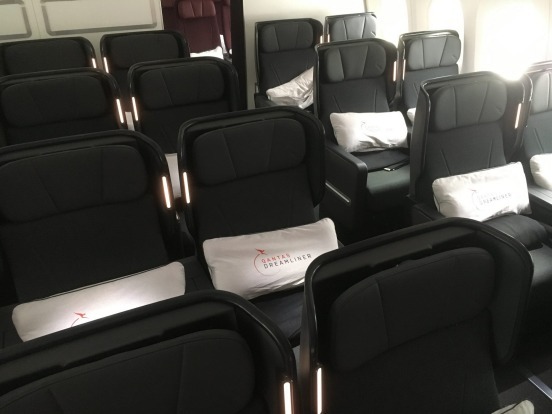 This is my second time flying on the Qantas Dreamliner in business class and on this trip I noticed a few subtle and nifty features I missed the first time around. A drawer pops out from beneath the seatback screen which is perfect for storing small items such as your passport and phone. 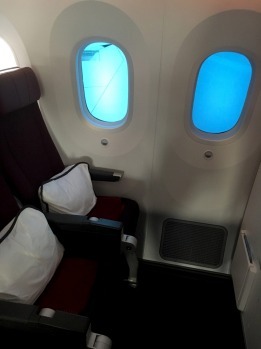 Above the screen, there's a small handle for pulling yourself up from your seat (particularly useful if you want to get up without putting your seat back into the fully upright position). 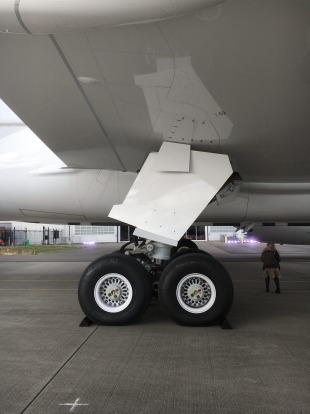 There's a cavity to the left of the foot well where you can pop your shoes, though it's large enough to store a carry-on bag if you want access to it without having to get up and open the overhead locker. A shelf at shoulder height on the aisle can be used to keep items you want to access regularly and the space contains a bottle holder (pre-loaded with a water bottle). All this storage means you can keep the seat free from clutter and make full use of the space available to stretch out. Some seats put you closer to the aisle than others. 10E puts me closer to the middle of the cabin so I feel ensconced. A thin mattress is placed on the seat when I'm ready to sleep. My seat is close to the galley so I am occasionally disturbed during the night by noise from that area. That said, I get a decent sleep and by the time I awake we're only four hours from London. 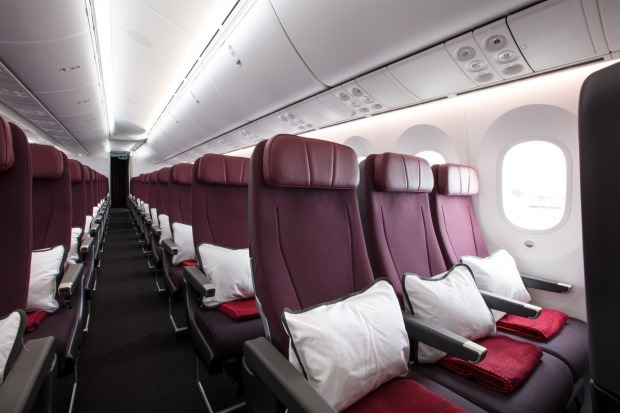 The higher cabin pressure and humidity in the Dreamliner promises to help beat jet lag and I find that, while I'm still tired on arrival, I don't have the headache or sore eyes I typically experience after a long haul overnight flight. And for those dying to know, the toilets are still clean and tidy even after more than 15 hours in the air. The large touchscreen is bright, sharp and highly responsive, though if you're reclined you can also control it using a remote in the armrest. 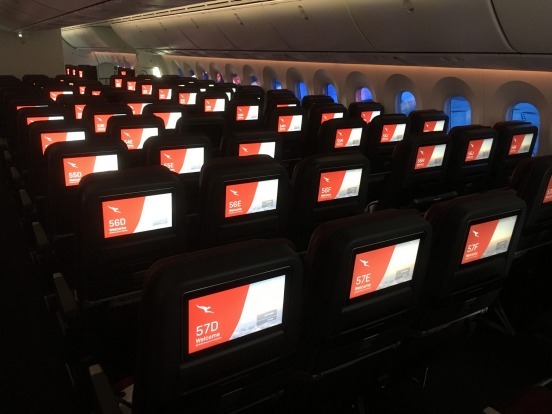 Qantas has a solid range of new and old movies (best picture Oscar-winner The Shape of Water has just been added), but the real winner here are the TV show "box sets" that feature entire seasons of some of the best dramas and comedies around right now. The airline has a deal with HBO so high-profile shows including Game of Thrones, Big Little Lies and Curb Your Enthusiasm are here. Seventeen hours gives you enough time to indulge in an entire season of a show, even if you sleep for a large part of the flight. 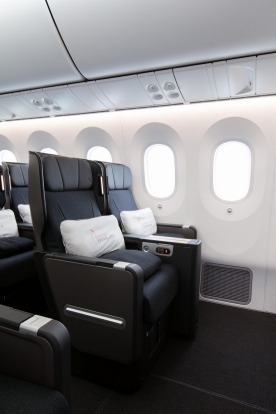 In business class, noise cancelling headphones are provided and there's power for your own devices. 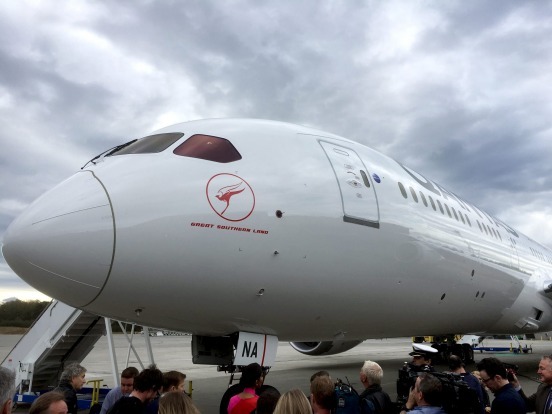 The meals for this flight have been developed in conjunction with the Charles Perkins Centre, with lighter, healthier offerings aimed at helping passengers cope with jet lag. The Neil Perry-design menu features a poke salad, carrot soup or rigatoni with eggplant (my choice) to start. I opt for barramundi with garlic potatoes and broccolini as the main, which is excellent. A full breakfast is served as we get close to London and there's a range of snacks available throughout the flight including sandwiches, chips and dips. One of the things I enjoy most about flying with Qantas is that the crew all express their individual personalities. Other airlines can also deliver great service, but some lauded carrier can have flight attendants who seem a bit robotic. 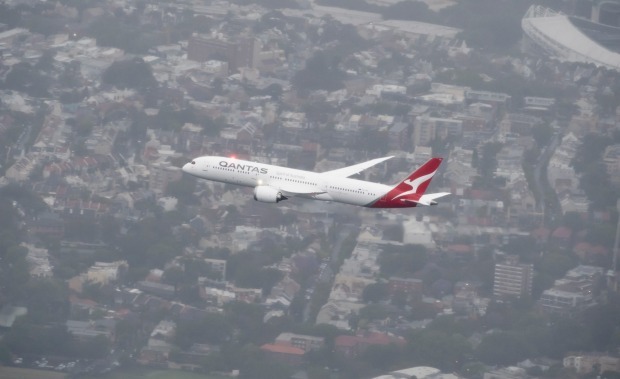 Qantas crews are always up for a joke, which reminds you you're flying an Australian airline. This cabin crew on this flight are friendly and efficient, despite a delay in delivering the meal service due to mild turbulence caused by Cyclone Marcus off the coast of WA. 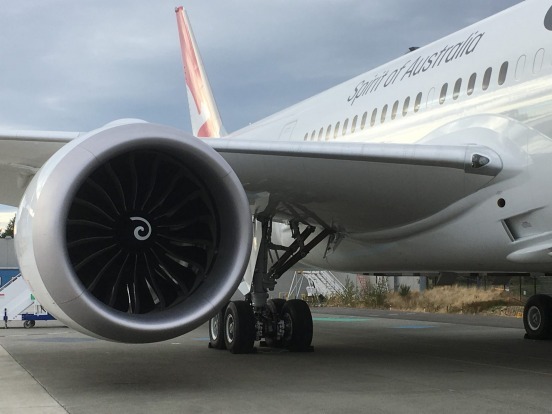 Perhaps it's a teething problem with the new route or menu, or possibly because there are so many business class seats on the Dreamliner, but there is a long delay between the entree and the main during the meal service. 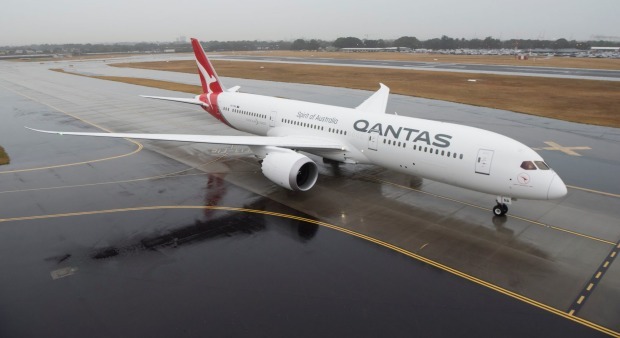 Qantas has opened a new international lounge at Perth airport specifically for passengers flying the London route. Designed to help passengers prepare for, or recover from, the long haul, it features an outdoor terrace, light therapy in the bathrooms and a relaxation studio where passengers can participate in stretching and breathing classes with a yoga teacher. 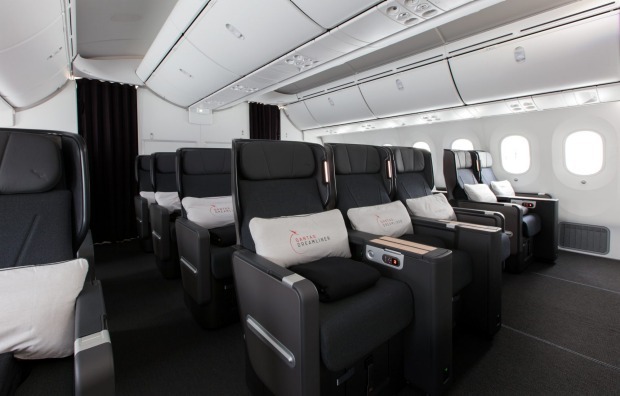 This new route is the third-longest in the world and at more than 17 hours flying time, business class is the ideal place to be. In fact, the extended flying time means you can actually get a decent sleep without being disturbed by having to land for a mid-journey stop. With a comfortable bed and excellent food, being off the grid for this long haul feels more like a pleasant break from the outside world rather than an ordeal.